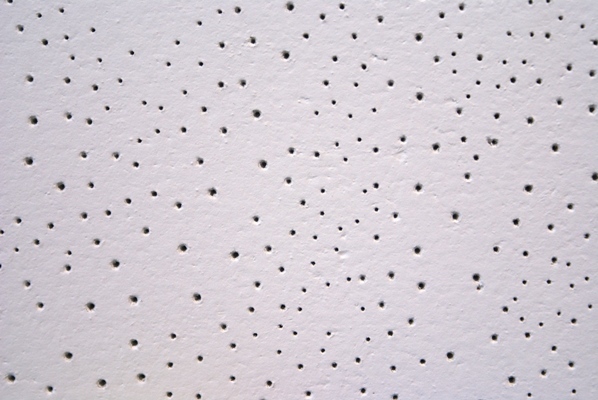 Daiken Constellation Acoustic ceiling tile has a while random perforated pin-hole surface. 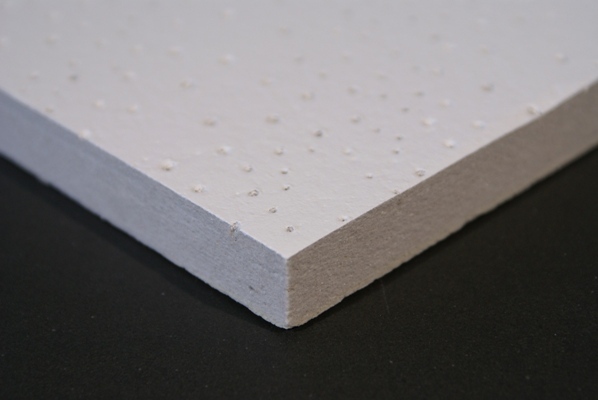 They are an economical tile in the Daiken Range with medium Noise Reduction Coefficient (NRC) and medium Ceiling Attenuation Class (CAC) which help to reduce reverberation time and prevent sound transfer through ceiling plenum. The Constellation tile is perfect for creating a refined atmosphere in hotel lobbies, fashionable shops and entrance halls of buildings as well as office areas. 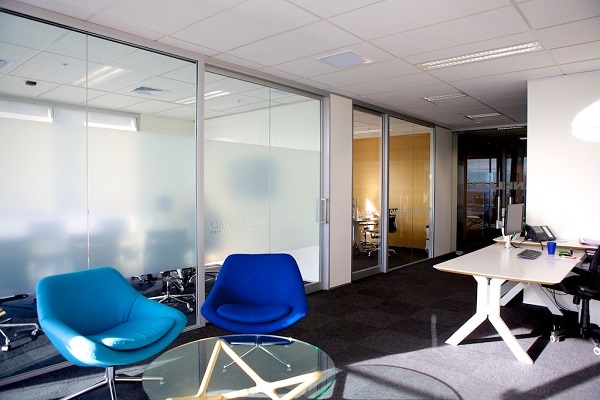 Can be used in most commercial interiors. Daiken Constellation is available in both square and rebated edge. 30 year lifetime system warranty to withstand conditions up to 40° – 95% relative humidity without visible sag when used with a T&R brand suspension system. Emissions, Sustainability and the Environment - For Green Star rated projects, Daiken mineral fibre tiles were independently verified and meet the Greenguard Emission Certificate Standard.